This August, the president of JAFTEX Scott Fortunoff is hosting a competition for the opportunity to have him visit your store! For those of you who don’t know, the collection of companies under the JAFTEX name include The Blank Quilting Corp., FreeSpirit Fabrics, Henry Glass Fabrics, Studio E Fabrics, Fabric Editions, and A.E. Nathan Co., Inc. 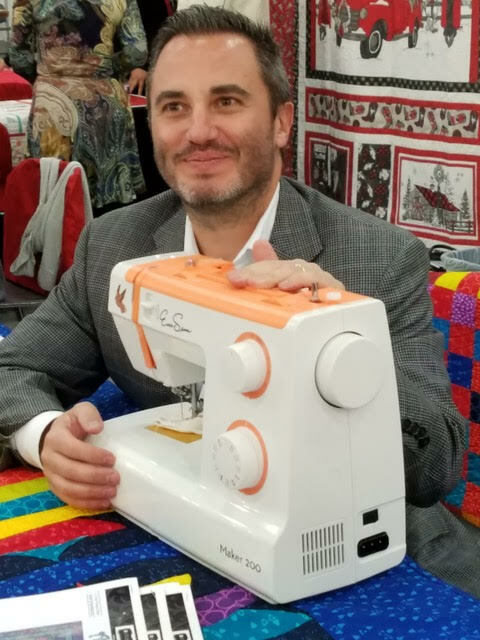 The idea for the competition stemmed from a couple quilt shop tours Scott has been taking this summer to highlight some amazing quilt shops around the United States that really go above and beyond. After the first few tours, Scott started to receive many requests to visit others. That’s when Scott came up with the idea for the challenge, what better way to make the best use of time and being efficient than by going on virtual tours? Here’s the gist: Post a 15 minute video of your brick and mortar store (either on Facebook live or just on your company’s Facebook page) during the month of August and tag @jaftexpresident. The video with the most likes on the Scott Fortunoff Executive Facebook Page will win the opportunity to have him visit your store and get some free Jaftex fabrics! Scott also requests that there be some charitable component of his visit. This part of the competition includes the U.S. and Canada (but excludes Alaska and Hawaii). If you’re reading this outside of that territory—have no fear! The competition is global, and the video with the most likes outside of the U.S. and Canada (including you Alaska and Hawaii) will get 10 free bolts of any JAFTEX fabric shipped to your store at Scott’s expense. Some tips for how to make your video great include practice, tidying up, and having fun! Show off what makes your store different, include any events or specials your store hosts, and show off some JAFTEX fabrics while you’re at it. The best way to shoot a video from your phone is to hold it horizontally, make sure you have good wifi, move and talk slowly, and check out the lighting before you start. You can find out more tips and details about the competition at Scott Fortunoff’s blog.